MORGANTON, N.C. – After more than three hours of intense battle that came down to the wire, FMF KTM Factory Racing Team’s Kailub Russell claimed the runner-up position at the FMF Steele Creek GNCC for Round 3 of the 2019 AMA Grand National Cross Country (GNCC) Series in Morganton, North Carolina. Trail Jesters KTM Racing’s Ben Kelley extended his win-streak to three-in-a-row on Sunday with another big win in the XC2 250 Pro class. As the green flag waived for the XC1 Open Pro class, Russell powered his KTM 350 XC-F into the holeshot and early lead on lap one. Russell was joined right away by riders Thad DuVall and Trevor Bollinger as they began what would be a close three-way battle for the lead position. It was Russell who assumed the lead for a majority of the first three laps before DuVall took over on lap four. Russell reclaimed the lead on laps five and six and he held it going into the seventh and final lap of the race. After gaining a 20-second lead, Russell got hung up in a recently-developed mud hole on the last lap. As he was receiving assistance from other riders to pull his bike from the hole, DuVall was able to sneak by and take over the lead late in the race. Russell was able to put on a charge and catch up to his rear end but he wasn’t able to find an opportunity to pass in the final sections of the course. Russell’s second-place finish allows him to maintain the points lead early in the 13-round championship. FMF KTM Factory Racing’s Josh Toth got off to a top-five start in the XC1 Open Pro class, where he immediately engaged in battle with the class front-runners. He dropped back to sixth for two laps before climbing his way up to fourth around the halfway point. He continued to battle in fourth for the next hour but after running into a couple of issues he dropped to fifth and remained there for the duration of the race. After more than three hours of tough battle, Toth was able to secure a top-five finish in the class. Tely Energy Racing’s Steward Baylor Jr., ran inside the top five for a majority of the race, where he ultimately finished just off the podium in fourth. 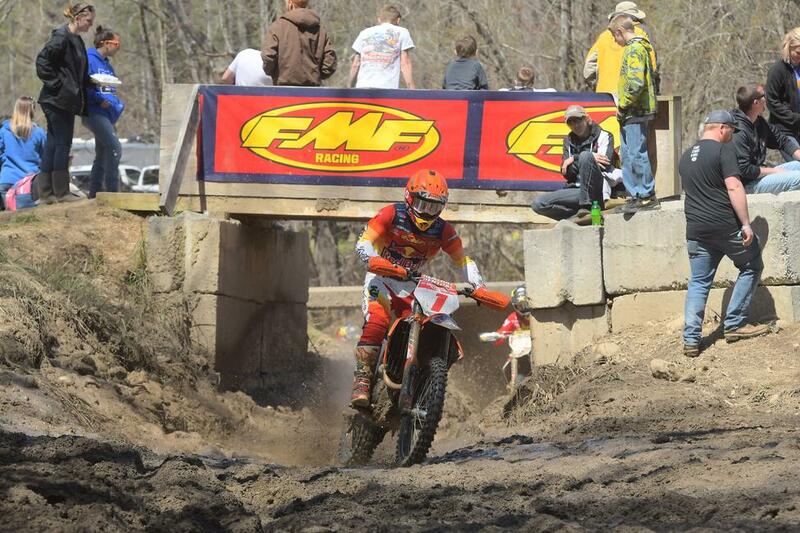 Kelley powered his KTM 250 XC-F out front on the start to claim the XC2 holeshot and early lead in the class. He immediately laid down a charge on the opening lap to create a one-minute gap over the second-place rider and from there he continued to extend his gap to ultimately win by over four-minutes in XC2 and sixth overall for the day. With a perfect score of 90 points through the first three rounds, Kelley now sits 19 points ahead in the early XC2 Championship. His teammate, Jonathan Girroir, put forth a solid performance to claim second-place in the class and ninth overall.